Misinformation and smear campaigns are age-long propaganda techniques and common occurrences in political campaigns worldwide. Every presidential campaign has its share of hardball political tactics, as in other electoral levels; but nothing is more disconcerting and hurtful than a smear campaign. It is detrimental to nation-building, good governance and is a threat to a democratic system. The extremely personal, often anonymous allegations that make up a smear campaign are aimed at assassinating a candidate’s most precious asset: his or her reputation. The reason this dishonest act has been recurrent over the years is the fact that it sometimes works. as both parties strive in mudslinging to demonise each other to augment their respective votes while depressing votes of their opponents. Political advertising has become more negative over the past few election cycles. The apparent rising volume and intensity of smear campaign enhances trivialisation, diverts attention from issue-based discourse and manipulates voters while lessening their capacity to engage in national decision-making in politics. 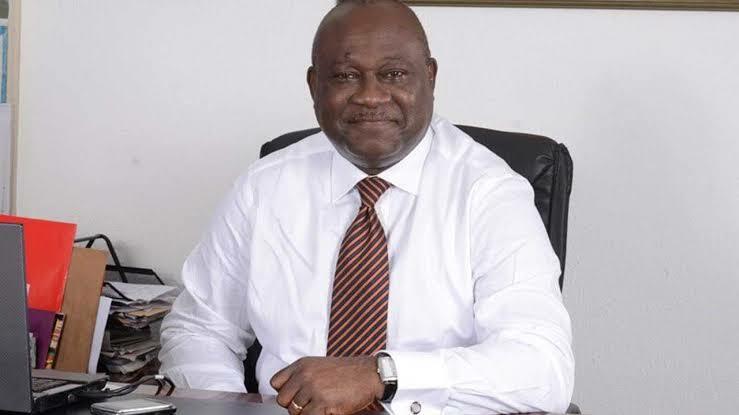 In this edition of Marketing matters, Udeme Ufot, the Group Managing Director/Chief Executive Officer of SO & U Group, a leading marketing communications agency in the country, shares his view points on political communication, trends and consequences of smear campaigns. Political education equips the citizenry with the knowledge of political happenings and personalities contesting for power, and empowers them with the information to make the right choices. It involves the use of language, sound, symbols, and imagery by political leaders, political parties, the media and even the citizens, to exert intended or unintended effects on the political knowledge, attitudes or behaviours of the public as it relates to public policies or key figures. Communication is intended to inform, persuade, remind and to stimulate action. Political communication is essentially focused on three objectives: advocacy, contrast and attack. The intention of advocacy is to make a strong case in favour of the candidate, projecting him/her as the best for the job. Positive attributes, factual or emotive, as well as track records are leveraged to sell the candidate. Primarily, contrast is to create some differentiation between the candidate and competitors. The strong points of the candidates are shown off against the weaknesses of the opposition to present a more desirable candidate in the minds of the audience. Attack is a direct and sometimes vicious assault on the personality and character of the opposition. Sometimes, it is based on facts, or interpretations of facts, to suit the intended purpose or, at other times, based on total falsehood. This is the domain of the smear campaign. The intention here is to build a strong case against voting for the opposition candidate. In today’s social media world, this has become a veritable tool for wreaking havoc on the opposition and bringing hitherto respectable personalities to public ridicule. While attention to curbing such excesses has been largely in the print media and television, the ubiquity of social media brings totally unexpected potency to the attack strategy. Smear is a planned attempt to harm the reputation of a person or company by telling lies about them in order to mislead the public and call into question the person’s character and reputation. Smear campaigns utilise unverifiable rumours and distortions, half-truths and even outright lies. Even when the reports are seen to lack substance, the target’s reputation, in most cases, is already tarnished before the truth is known. The target of the smear is typically forced to focus on correcting the false information rather than the original issue. In 2015, just after the last presidential election, in the course of conversation with some politicians on the ills of smear campaigns, they told me bluntly that smear campaigns were an integral part of politicking. Anyone who was scared of being smeared, or was sensitive to falsehood being spread about his character, should simply stay out of politics, they told me. In Nigeria, it has become a well-known fact that you enter the political arena at great peril to your reputation. Only people with very thick skins can hope to weather the storm of political mudslinging. Possibly the most vicious attack in the build-up to the 2015 elections was the advert by Mr. Ayo Fayose, former Ekiti State Governor, who likened the choice between former President Goodluck Jonathan and President Muhammadu Buhari as the choice between life and death. He deployed pictures of Nigerian leaders who had died in office, and included that of President Buhari. He made the warning loud and clear that voting for Buhari would mean a President who would die in office on account of Buhari’s age. I doubt that this advert went through vetting in Advertising Practitioners Council of Nigeria’s Advertising Standards Panel (ASP). The claim by Mrs. Patience Jonathan that Buhari was brain dead and would not be able to reason in office followed a similar vein. Prior to the APC gubernatorial primaries in Lagos, Governor Akinwunmi Ambode, in what seemed like a last grasp to secure the nomination of his party for a second term, released information to the effect that his opponent was arrested for being in possession of fake currencies in the US and was also a rehab patient. We have seen the drama on both sides of APC and PDP as they attach all manner of negative descriptions to once celebrated members once they defect to opposing camps. a little girl walking through the field and plucking petals off a daisy flower as she counted. A male voiceover does a reverse countdown to zero, at which a nuclear explosion occurs. The commercial then warns Americans about the risk of electing a short-tempered President who would have his finger on the nuclear button. A vote for Barry Goldwater would mean voting for a devastating nuclear war that could destroy all that Americans hold dear, including their little girls, like the Daisy Girl. Americans chose Lyndon Johnson, and this commercial was considered the turning point in that campaign. This has been described as the beginning of smear television campaigns in America’s political history. More recently, the last presidential campaigns, where Hilary Clinton lost to Donald Trump, saw an unprecedented level of name-calling and character assassination. Trump would always add the descriptive of “Dirty Hillary” in referring to Hillary Clinton on account of alleged corruption during her tenure as Foreign Secretary. He went as far as declaring that Hillary Clinton would not be able to meet America’s needs, since she could not satisfy her husband. This was, of course, alluding to the Monica Lewinsky affair. In Nigeria, a new trend has been the use of various security and anti-corruption agencies to disparage the opposition. Media trials have been the order of the day, where opposition members are arrested, tried and condemned in the court of public opinion even before any evidence is found to make a case against them. This, to me, is the height of smear campaigns. It has nothing to do with advertising but a manipulation of the news to undermine the character of the opposition. Reviewing incidents of smear campaigns, I am inclined to say that smear campaigns have been waged less through advertising deployments, but more in media contents and even social media campaigns. In today’s world, where everyone with a smartphone is a media vehicle, the damage can be awesome. A smear campaign can be spread to millions in seconds at the touch of a button. Nigeria’s politics today is about power, status, clout, stunts and schemes of individual politicians and their political parties in the bid to capture power. It has little to do about issues or the common good. Few Nigerians today know the difference between the leading political parties beyond their names and logos. Very few know what they stand for in terms of ideology or programmes. In the absence of issue-based campaigns, electioneering has tended to dwell on theatrics, where verbal assaults, insults and character assignation hold sway, sometimes to the entertainment of the electorate. The result is lack of accountability in governance, as politicians promise little and are held accountable for nothing. The country’s growth and development is thus retarded as intellectual discourse and public engagements on developmental issues are not on the cards. The mudslinging makes politics a no-go area for many qualified citizens who do not have the stomach for the invasion of privacy and disparagement. The experiences of Dr. Ngozi Okonjo-Iweala and Mrs. Kemi Adeosun are examples of how reputations can be slaughtered on the altar of public service in politics. UBA and MEC, Inc., Launch Revolutionary Omni-Channel Payment System, EmailMoni. Expectations, Excitement as 108 Students Contest To Be 2017 Cowbellpedia Mathematics TV Quiz Show Champions.